We try to stay up on what’s going on at Marvel, but we can’t always dig deep into every issue. The solution? 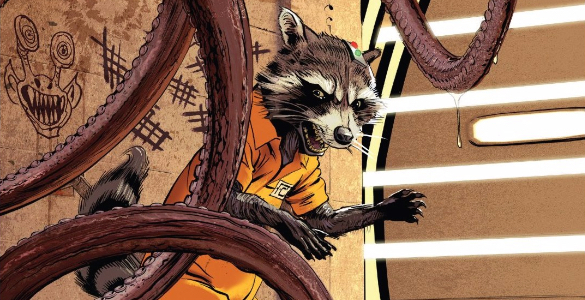 Our weekly round-up of titles coming out of Marvel Comics. Today, we’re discussing All-New Guardians of the Galaxy 3, Black Bolt 2, Daredevil 21, Doctor Strange 20, Hawkeye 7, Rocket 2 and Unstoppable Wasp 6. Also, we will be discussing Nova 7 on Monday and Amazing Spider-Man 28 on Wednesday, so come back for those! As always, this article contains SPOILERS. Today, Taylor and Spencer are discussing Rocket 1, originally released May 10th, 2017. As always, this article contains SPOILERS. 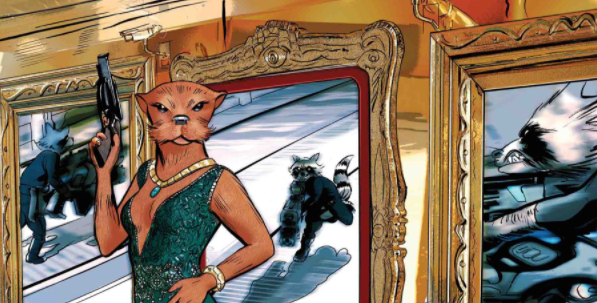 Taylor: Rocket Raccoon is a walking, talking lesson in juxtaposition. At first glance, he looks likes one the lovable characters from the Looney Tunes gang. After all, he’s an anthropomorphic, talking woodland creature. However, this fuzzy exterior conceals his true nature as a loudmouthed, gun-crazy thief. If this contrast isn’t enough, he is frequently paired with the other Guardians of the Galaxy, a group that frequently saves the universe purely because it’s the right thing to do. This contrasts mightily with Rocket’s typical motivation of doing whatever job comes his way so long as the price is right. That being said, the juxtaposed nature that is intrinsic to Rocket should take center stage in a comic where he is the star. So is that the case in the latest series to bare his name?